PCA Skin Peels are formulated with unique ingredient blends that work with your skin to allow for comfortable treatments without sacrificing efficacy. The result is increased cell turnover and fresh, healthy skin is revealed. They are a great option for everyone, weather your skin is dry, oily, combination or even sensitive, there is a chemical peel treatment that will work for you. What do Chemical Peels Improve? Our skin naturally exfoliates, shedding dead skin cells so subtly that most of us don't even notice. However, as we age, this process tends to slow, resulting in a dull complexion. Chemical peels speed up the exfoliation process, encouraging cell turnover that leaves the skin looking fresh and healthy. The result is exfoliation after a treatment, usually in the form of peeling or flaking that lasts a couple of days. Ingredients in the peel solution are also working to create new cells that function properly, not only visibly improving the skin, but correcting from within. The number of peels recommended very, depending on your skin condition. 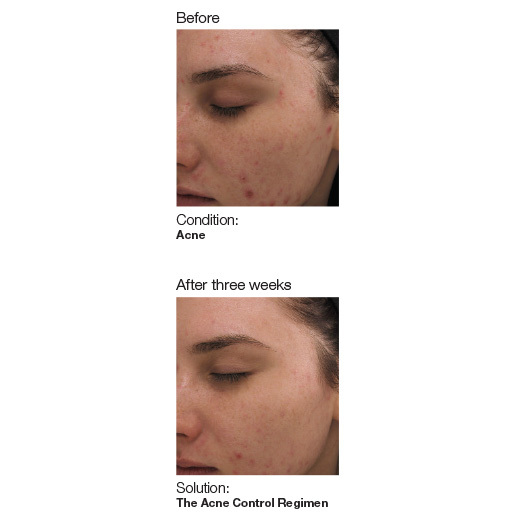 Usually 3-6 treatments are recommended once a month, paralleling the skins natural 28-day cell turnover process. Once you complete a series of treatments, they are recommended quarterly as maintnence. How long will I be peeling? PCA SKIN peels deliver excellent, visible results weather or not actual visible peeling occurs. Frequently, exfoliation is at a cellular level and not apparent to the naked eye. You may experience peeling or flaking for a couple of days and visible exfoliation may very each treatment, depending on the current state of the skin. Dermaplaning is a method of mechanical exfoliation using a 10 gauge blade to gently remove the outermost layer of dull, dead skin cells. Vellus hairs or "peach fuzz" is also removed in the process. The immediate result is fresh bright skin. Dermaplaning is a favorite in the enterainment industry, especially among models and actresses. This is because Dermaplaning removes all the dead skin cells and also the facial hair, leaving the surface very smooth. Dermaplaning also allows for greater penetration of skincare products and creates a flawless canvas for makeup to glide on smoothly. This is a wonderful treatment on it's own. We also pair it with more intrusive proceadures such as chemical peels and Laser Genesis to help prepare the skin and enhance the results.